Definition at line 43 of file metaproperty.h. Definition at line 40 of file metaproperty.cpp. Definition at line 46 of file metaproperty.cpp. Definition at line 55 of file metaproperty.cpp. Referenced by LLMetaPropertyT< TProperty >::get(). Implemented in LLMetaPropertyT< TProperty >, LLMetaPropertyT< TProperty >, LLMetaPropertyT< TProperty >, LLMetaPropertyT< TProperty >, and LLMetaPropertyT< TProperty >. Definition at line 50 of file metaproperty.h. Definition at line 50 of file metaproperty.cpp. Definition at line 74 of file metaproperty.h. Definition at line 75 of file metaproperty.h. 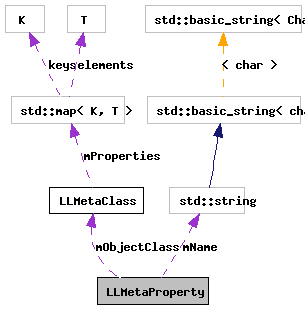 Referenced by checkObjectClass(), and getObjectMetaClass().